On the same side of Piazza Duomo as Palazzo Reale, it shines from afar and as gradually one comes closer, curiosity increases. Thursday evening, like many others. 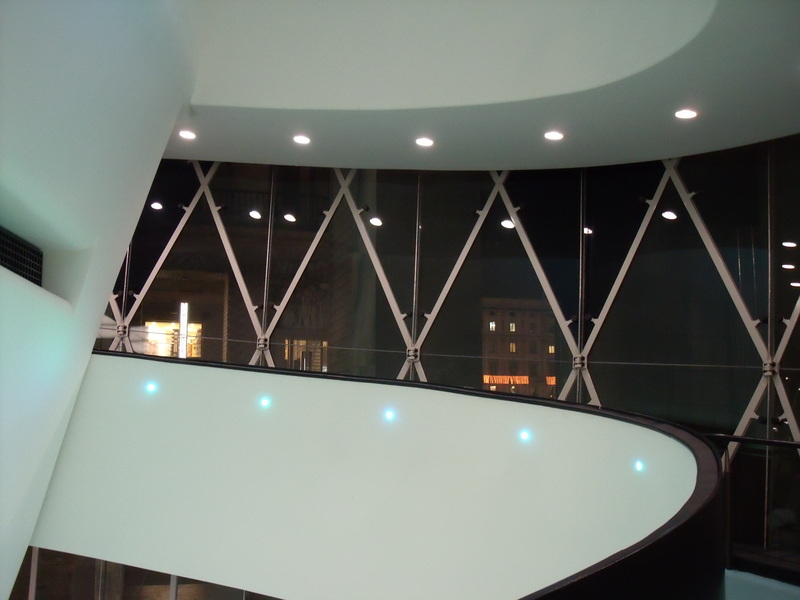 I lose myself charmed looking around as I climb up slowly to the museum. 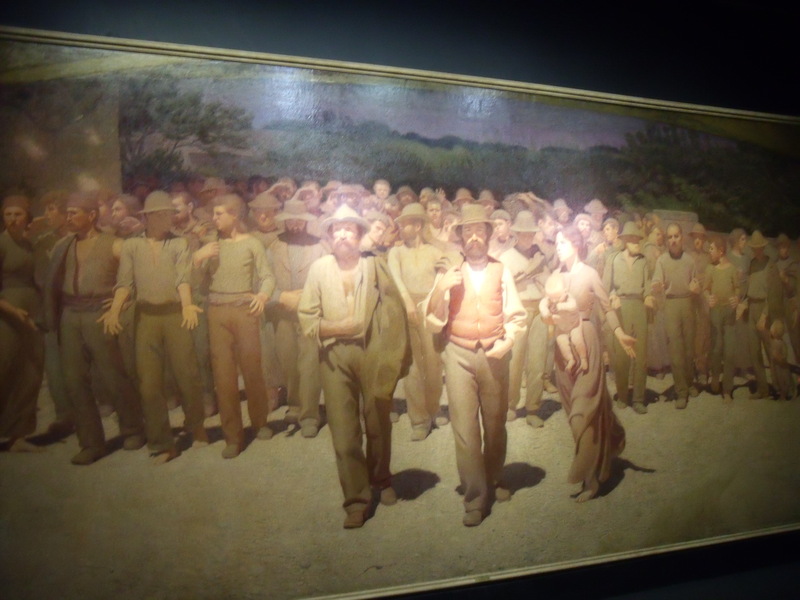 On the left, as a symbolic passage from Ottocento to Novecento, a dark wall with “Il Quarto Stato”, the impressive Masterpiece of Giuseppe Pellizza da Volpedo. Next to it, another Picasso’s Masterpiece from the years ’12-’14, the cubist “La bouteille de Bass”. This first room is mainly dedicated to non Italian except Modigliani, or maybe they are all artists working in Paris at the beginning of Novecento. Interesting to observe that the period produced many different artistic movements. Paintings so different in style and technique as Modigliani’s Paul Guillaume Portrait with his asymmetrc eyes or a cubist Braque painting are from the same 1912. 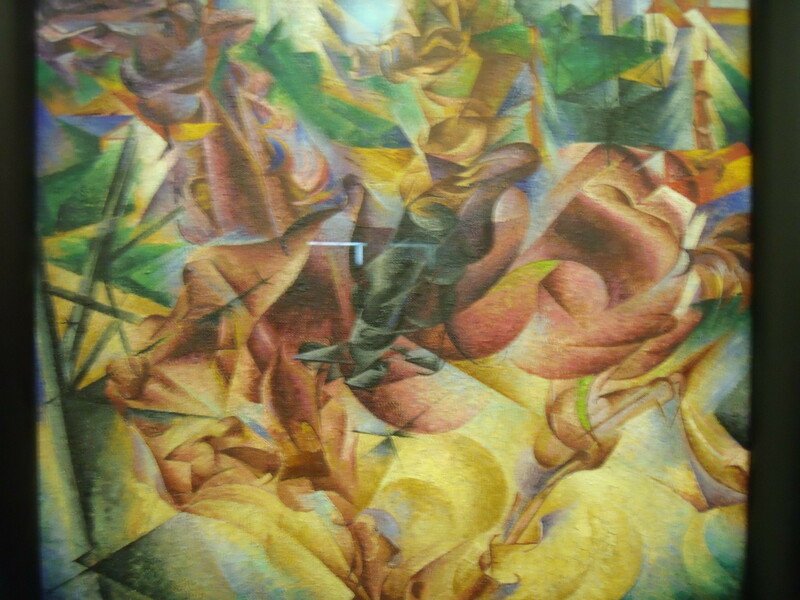 Year that have the creation of “Elasticità”, Boccioni’s painting in the next room. I liked the architectural pictures and then you showed the art, awesome! 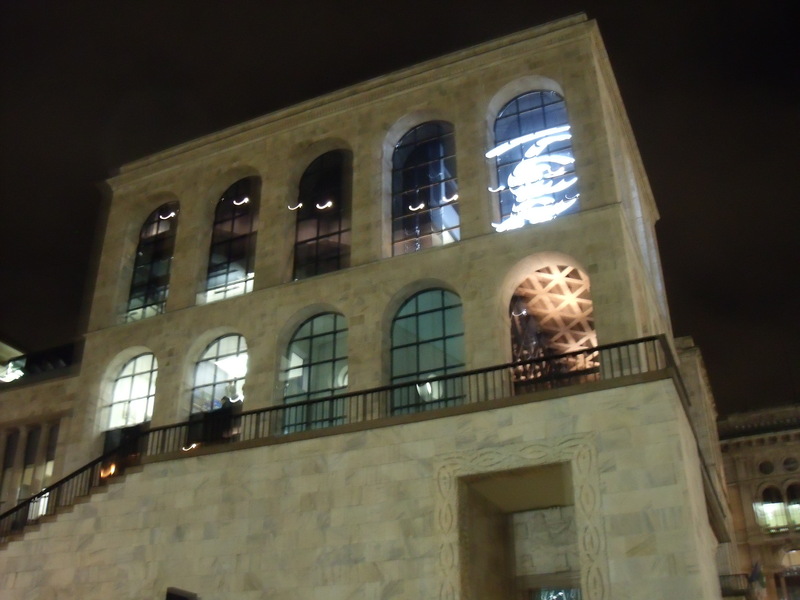 This building of art lights the night. Thank you so much, this was a beautiful visit to share with us! Bringing travel into your home, thanks love the art and architecture. Enjoy the virtual delights of this art…. I need to go to Milan! Wish I where there! A must! Another great post Maya. Thank you! Great art in an amazing facility.